Brown's Wharf Inn has installed a few stationary webcams and one controllable camera, so you can view Boothbay Harbor from your home! Try out the controllable camera, choose "Footbridge" from the "Camera" drop-down menu above the video feed, and then scroll just a bit to the left to the end of the footbridge and you will see Back Bay Cottage, the tan shingled building just behind the green Chowder House! 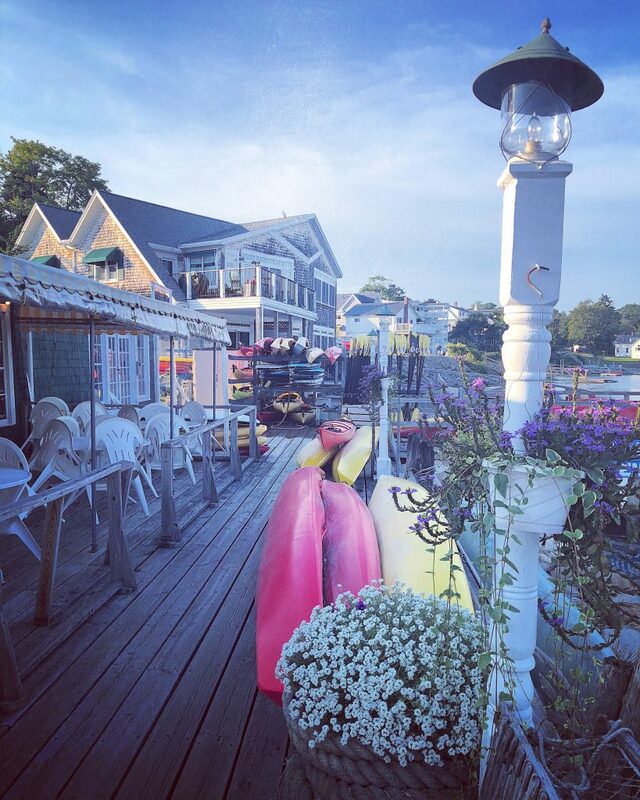 The Chamber of Commerce maintains a Boothbay blog on local events. Follow highlights from the local paper, the Boothbay Register online, or subscribe to full e-coverage. The Newagen Seaside Inn and the Hogdon Island Inn both maintain blogs with interesting tidbits about the Boothbay region. I recently discovered From Away, a wonderful Maine food blog that offers a mix of Downeast recipes and restaurant/food reviews - from the swankiest new restaurants to the $3.99 sub sandwich at the local gas station convenience store. The Maine state site has links to some interesting driving tours and trails. And please visit my other two websites! AbbyGordon.smugmug.com is home to my photos. Here, you will find photos of the Boothbay Harbor Region, as well as photos from my travels in the U.S., Europe and further afield. If you see a photo on www.BoothbayHarborRental.com or one of my framed photos in the cottage that you like, you will probably find the photo on Smugmug and you will able to order prints, framed photos, greeting cards, mugs, t-shirts and other merchandise.